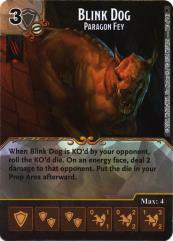 When Blink Dog is KO'd by your opponent, roll the KO'd die. On an energy face, deal 2 damage to that opponent. Put the die in your Prep Area afterward.